When our second child was three, he had to start going to “big church” because that was the nursery’s policy. If this had been our first born, there would be no story to tell except that she sat quietly and did exactly as I asked. Our feisty, spirited, precocious, outspoken, loud, little boy and I was scared. I’d never dealt with a rowdy little boy in church. I’d certainly never done it on my own. I made so many, many mistakes. The “church training” was going absolutely terribly and peaked one rainy Sunday when I had to physically drag Dax out from under a pew, and due to the design of the church, carry him outside. He screamed and kicked the whole way from the front pew to the back of the church where the only exit doors were located. As I sat soaking wet and crying in my car with a little boy that I’d just totally lost my temper with, I vowed to never let a day like this happen again. Church was supposed to be a safe place; not just for me, but for my kids too. They should come here and feel loved, not threatened within an inch of their life to sit still and behave. I immediately began researching when I got home. Some worked and others didn’t. 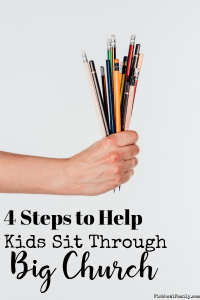 Since that day, I’ve narrowed it down to four ways that parents can help kids sit through church. Sit down at home and talk about your expectations for their behavior during church. Do it a week before and days before and the night before and the day of. Make it clear what you expect them to do AND why it’s important. It’s important because church is a time for Christians to fellowship with other believers and to deepen their knowledge of scripture. It’s also a time for nonbelievers to hear the amazing, soul-saving message that Jesus loves them enough to die for their sins so they can spend eternity in heaven rather than hell. But if your child is steadily being loud and rowdy, a person might miss the good news. My husband and I are firm believers in deliberate parenting. For our family, part of that is talking to our children like they understand what we are saying and then allowing them to ask any questions afterward. We use big words sometimes. Often, the kids figure out the meaning from context clues. This is a skill they’ve learned from spending their entire lives being spoken to like they are smart. Children will live up to our expectations. So if we expect them to not understand big concepts – they won’t. We often talk about things in the car because we have a totally captive audience there. So, whenever you’re driving somewhere, quiz your kid! Ask them what you expect them to do on Sunday morning. Ask why it’s important. Talk about the reward of good behavior and the consequences of bad behavior. They should have a complete grasp on what is coming Sunday by the time the big Sunday arrives. Our family has several coloring books and Crayola Twistables that are only for church use. We use the Twistables because they don’t ever need to be sharpened, they don’t have paper to peel and make a mess, and they don’t break. 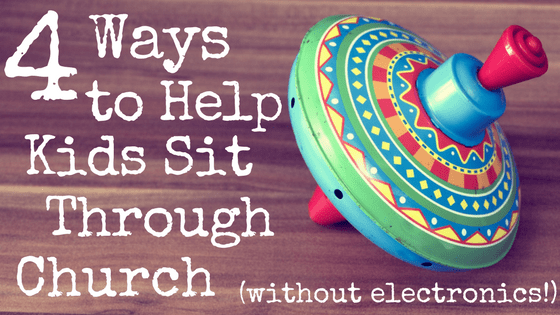 This post, How to Help Kids Sit Through Church, contains affiliate links which means that if you click on a link and make a purchase, we’ll receive a small compensation. 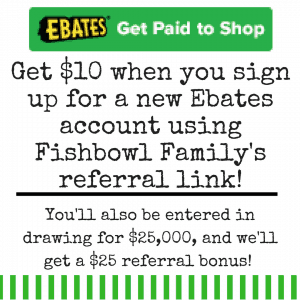 This does not cost you any extra money. You can read our full disclosure policy here. We also have a magnet board that was fantastic with helping Dax to sit still when he was in preschool. It has 50 different cards inside with various design ideas to build with the magnets. All of the cards and magnets fit inside the case when closed, and it had handles for easy transport. Some other things we’ve found that work well are sandwich baggies of Legos, Matchbox cars, Shopkins, Polly Pockets, Littlest Pet Shop, or other small toys. The important thing is that these are special toys or activities that they don’t get to play with every day. They will keep their interest longer because they aren’t “old,” and it will give them something to look forward to, thus creating positive feelings about Sundays. For our older kids, we use sermon note sheets. They each have a 1/2 inch binder with a pencil pouch to keep everything together. For Dax, we use Doodle Through the Bible, and he loves it! It literally starts in Genesis and goes through Revelation. Each page has some fun questions to get kids thinking like “If the animals could have helped Noah build the ark, what would they have done? Noah way to doodle it?” There are some sketches on each page for kids to color and to give them a starting point, and then tons of white space for kids to doodle and draw. For our oldest daughter (10) we do Bible journaling together in church. We bought her a really cool journaling Bible that’s made for kids, and she (and all her friends) loves it. When I was first trying to train Dax, I made a huge mistake. I let him play with his toys from the moment we got into the sanctuary. This was a mistake for two reasons. First, it robbed him of the experience of worshipping with his church family. Even though he wouldn’t have known all the words, he still could have sung along or listened as our church sang praises to God. Second, by the time the sermon started, Dax was already bored with playing with his toys and ready to do something different. Most children love to sing. Start from day one of corporate worship by expecting them to participate fully in worship. This means that kids aren’t allowed to play with any of the things you brought for them until the sermon starts. The song service is a great time to teach kids how to participate appropriately. They can wiggle, talk, and look around without it disturbing others. It will help get some of their energy out, and the anticipation of the toys they are going to get to play with will build. Related: Five Must-Read Parenting Books for Christians. On the worst day of church ever, I didn’t have a plan for failure in place. I hadn’t experienced any of these things with Brinley who is a classic, first born, rule follower, so I wasn’t prepared at all for Dax. His behavior (and mine!) made me want to just wait until he was older before we ever came back to church again. The next week, I got to church early and moved all of our stuff to the back row, nearest the exit doors. It took several weeks before people accepted that the pastor’s family would be sitting in the back, and they stopped moving all our stuff back to the front, but it didn’t matter what anyone else thought. My husband and I knew this was what was best for our family. I needed to be able to get Dax out of the sanctuary discreetly and quickly if he had another meltdown. And he did have many more. I’d love to say that the first Sunday I started doing these four things he immediately behaved through the whole service, and we’ve never had another problem. But that’s not true. We’ve had many a Sunday where Dax and I went outside to talk and remember behavioral expectations. But despite all the setbacks, he now loves church. All of my kids do. They literally cheer on Wednesdays when I remind them to get ready for church. As a parent, that’s a great feeling! But I’m quite sure that if Dax and I had continued down the negative path we were on, he would not be cheering for church. So if you are training a child to behave in “big church,” know that you’re not alone, that it is extremely hard, and that with perseverance and love, your family will make it through. What techniques have you found to help your kids sit through church? Tell us in the comments! These are really great suggestions. I am sending this to my daughter-in-law! Thank you! I hope they help her! Thanks so much for posting this! I’m also a pastors wife & have a 2 1/2 yr. old boy that I’ve been trying to train during our evening service. This was very helpful & I’m looking forward to putting these ideas into practice! Good luck!!! Seriously, training our son for church was super hard, but he does so great now! As a pastor’s wife there’s a lot of pressure to be perfect so during this phase, try to just ignore all of that and do what’s best for your son. My husband announced that we were training our son in sort of a humorous way and that helped a lot! 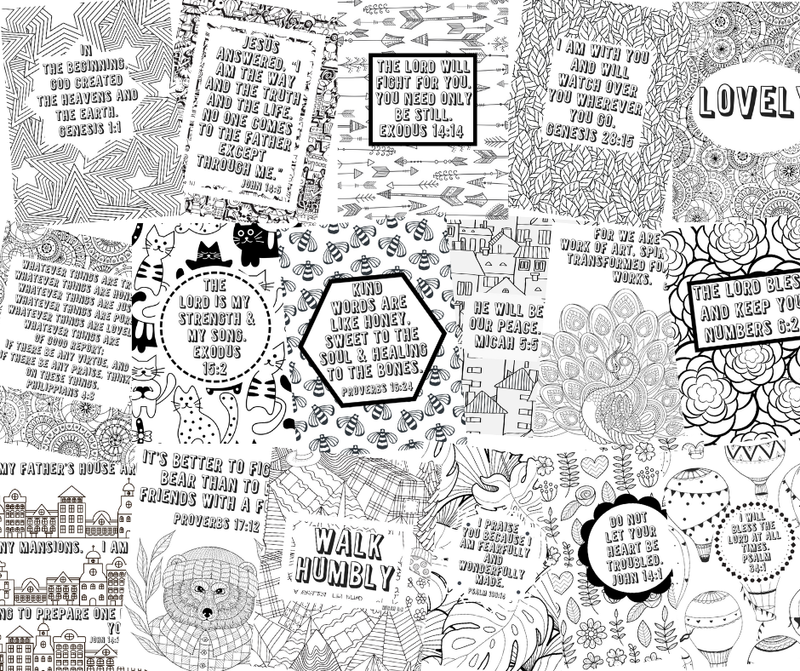 I’d love to print the sermon notes page, but the link is not working. Thank you so much for this list! We have a worship session just for our preschool and kindergarten age group, so my 1st grader is just making the transition to the worship service. I love the sermon notes for kids! I’ve been looking for something to get him participating in the service. Thanks again! You’re so welcome! I hope he enjoys them as much as my kids do! 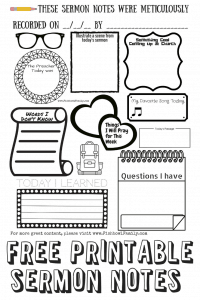 I would love to use your sermon notes as well – but couldn’t get the link to work!